Size : 19.9 x 20.8 mm Weight : 3.09 grams. 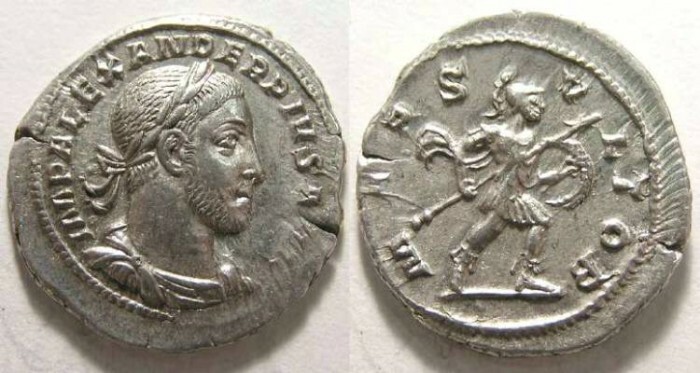 Obverse : Head of Severus Alexander right, with IMP ALEXANDER PIVS AVG around (the last couple of letters are not struck up). Reverse : Mars advancing right, holding a spear and shield, with MARS VLTOR around.